Once again, the population of our fair city is doubling in size as thousands of visitors, street artists, and performers flock to the capital for the Edinburgh International Festival. 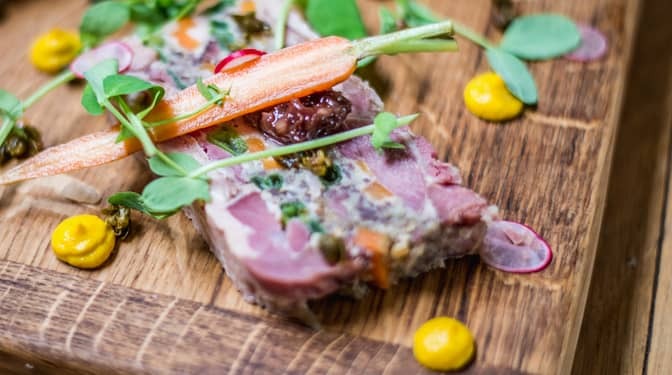 With a plethora of shows to sink your teeth into, you’re bound to be eating out more than usual so it’s hardly surprising that the city becomes a culinary haven in August. Restaurants, chefs, cafés, street vendors and everything else in between seize the opportunity to feed and water thousands of festivalgoers. Having racked up several years of avid Edinburgh ‘festivaling’, the cats at Hot Tin Roof like to think we know a thing or two about the delicious delights on offer – and this year is no exception. So here are just a few of the not-to-be-missed opportunities for foodies this August. Already making waves in foodie hotspots like London, Dram & Smoke is coming to Edinburgh to showcase the best of Scottish produce in Leith’s quirky Biscuit Factory. Tickets are £40 and those in attendance are treated to a welcome cocktail, a delicious four course meal, live music and of course, a well stocked bar! Standing for ‘Hendrick’s Extraordinary Roving Bus of Exceptionally Refined Travel’, this double-decker can be seen stationed on Queen Street disguised as … a giant cucumber. On board are bartenders serving deliciously refreshing Hendrick’s G&T’s with a slice of cucumber. In keeping with this theme, guests will also be treated to some cucumber macaroons. We don’t think we’ll struggle to get on board with the #HendricksMinistry. Tickets are free (admin fee of £2.50). Burger & Fringe is the perfect place for a lunchtime refuel after a morning of back-to-back shows. 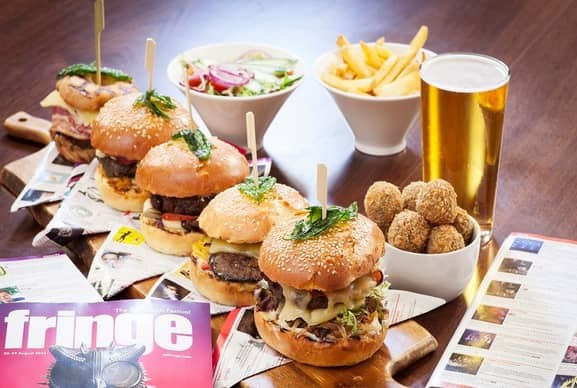 Ideally located at The Radisson Blu on the Royal Mile, Burger & Fringe offers an array of Scotch beef burgers handmade with locally sourced ingredients. Plus, seven mouth-watering burger toppings to chose from. If you prefer veggie or gluten free then don’t fear, Burger & Fringe caters to these requirements. Perfect for all! Laughing Stock has been feeding rumbling tummies at the Festival for five years now. 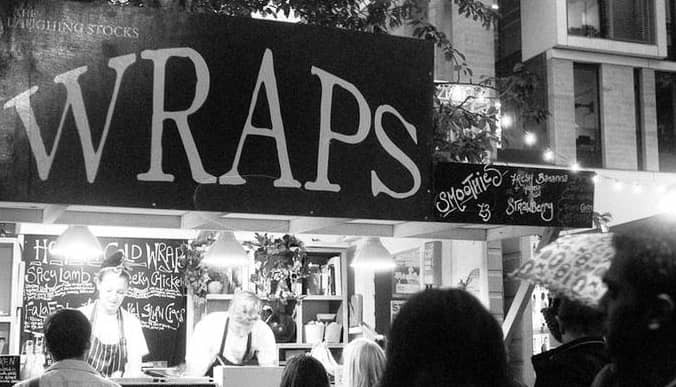 It offers a wide range of tasty, fresh and local food across its number of stalls situated throughout the Underbelly. Using meat from Bowers of Stockbridge, Laughing Stock’s food vans cook up everything from meatballs to wraps and pittas to Stock sausages and fries with rosemary salt. They also serve fair-trade tea and coffee for those in need of a caffeine fix. Definitely worth a pit stop before braving the crowds! This isn’t Boxsmall’s first Edinburgh Fringe and we hope it’s not the last. 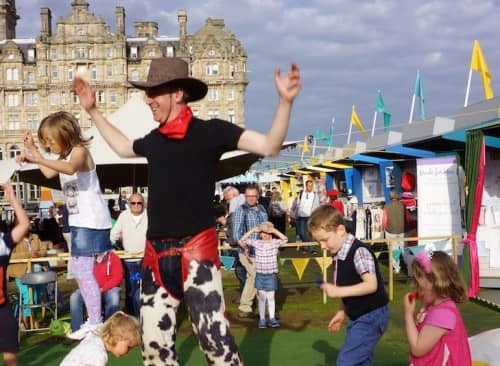 Found on the roof of the Waverley Mall on Princes Street, this is a great family destination featuring a putting green and a kids’-zone with family friendly performances. With the children occupied, adults can browse the selection of stalls and get their gums around some delicious street food from stalls such as Jones & Son Bespoke BBQ.